Could you advise me how to use Trends PA-10 Tube Headphone work with my PC ? Use the RCA cable connect to your sound card. 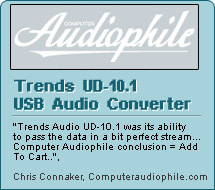 Or you can use Trends UD-10 USB Audio Converter connect with Trends PA-10 Tube Headphone/Preamp for better performance.